Ajit Kaur Maan is originally from North Dakota, raised in a Sikh family with roots in the Punjab area of India. Much of her early work is derived from her study of the Sikh diaspora experience in light of post-colonialism, but she has also specialized in the philosophy of literature and postmodern aesthetics (Maan, Internarrative Identity: Placing the Self 91). After earning a bachelor’s degree in journalism from North Dakota State University and a master’s degree in English literature from Kansas State University, she earned her Ph.D. in philosophy from the University of Oregon. 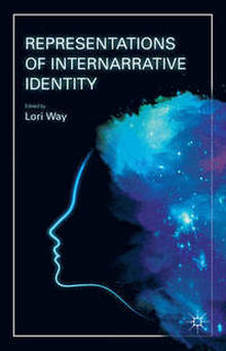 Her breakthrough theory of internarrative identity came in 1997; she published a book by the same name in 1999 which was released in its second edition in 2010 (with the addition of the subtitle Placing the Self). Internarrative identity deals with one’s sense of identity as expressed in personal narrative, connecting the formation of identity with one’s life experiences. Maan’s theories are influenced by Paul Ricoeur’s writings in narrative identity theory, and she cites several of his works in her book (Maan, Internarrative Identity: Placing the Self 90). The connection between the interpretation of personal narrative in relation to the larger social group seems to be a key factor in the work of both Maan and Ricoeur. She states that “Following Ricoeur, I’ve argued that who one is and what one will do will be determined by the story one sees oneself as a part of. Going further than Ricoeur, I have suggested that a genuinely imaginative theory of narrative identity would be inclusive of alternatively structured narratives” (Maan, Internarrative Identity: Placing the Self 71-72). This seems to indicate that Maan believes in the role of identity in behavior, but she also recognizes that one can be constrained by society to accept a self-narrative that fits within existing cultural norms. Maan is also influenced by Jacques Derrida as well as Michel Foucault, as referenced in her article “Post-Colonial Practices and Narrative Nomads: Thinking Sikhism Beyond Metaphysics” (227). After establishing herself through her work on internarrative identity, Maan has now turned her attention to the analysis of narrative as a means of understanding (and combating) terrorist recruitment tactics. Her 2014 book, Counter-Terrorism: Narrative Strategies, examines the scripts perpetuated by a wide range of terrorist organizations while also making important interdisciplinary connections between studies in the humanities and current world events. She collaborated with the late Brigadier General Amar Cheema on the edited volume, Soft Power on Hard Problems: Strategic Influence in Irregular Warfare, published in 2016. Her 2018 book, Narrative Warfare, is a collection of articles examining the topic of weaponized narrative. ​Her work was also the focus of Representations of Internarrative Identity, a 2014 scholarly monograph dedicated to the exploration of internarrative identity through diverse fields of study and from international perspectives. Maan, Ajit Kaur. Internarrative Identity: Placing the Self. 2nd ed. Lanham, MD: University Press of America, 2010. Print. ---. "Post-Colonial Practices and Narrative Nomads: Thinking Sikhism Beyond Metaphysics." Sikh Formations 1.2 (2005): 217-227. Print. ---. Counter-Terrorism: Narrative Strategies. Lanham, MD: U of America, 2014. Print. ---. Narrative Warfare. North Charleston, SC: CreateSpace Independent Publishing Platform, 2018. Print. Way, Lori, ed. Representations of Internarrative Identity. Basingstoke, Hampshire [UK]: Palgrave Macmillan, 2014. Print. 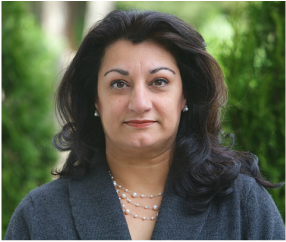 "Dr. Ajit Maan offers fascinating insights about a topic that will stay with you long after her presentation concludes. Her concept of the power of narrative helps clarify the workings of individual and group identity, and she explains how reframing a narrative can peacefully bring about change. She is warm, open, and brings out the best in an audience. We were very fortunate to have her as a speaker at our program, and look forward to a return engagement in the future." "Maan suggests there are ways to construct meaningful narrative identities that go far beyond the resources of narrative unity that most Westerners have inherited." "This excellent work should be required reading for all involved in the non-kinetic end of counter-terrorism. After its read, we MUST employ these lessons as a part of a comprehensive multi-national effort that effectively supports the counter-terrorism effort." "Both in terms of its political urgency and the larger questions it raises between narrative and conflict, this work awakens a sense of: why hasn't this been talked about before?" — Arne Gerrit Halvorsen, Chief Police Inspector and Captain Royal Norwegian Air Force, Commander of UN and NATO Military Police Special Investigation Groups. Member of the UN War Crime Investigation in Former Yugoslavia (Retired).